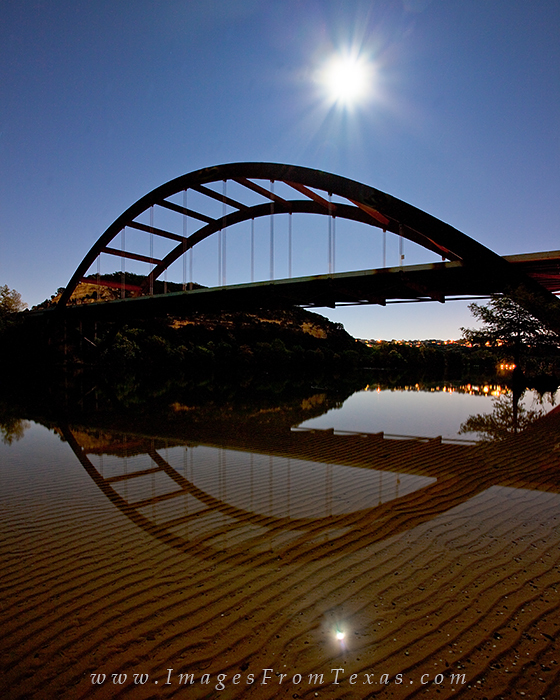 This long exposure from beneath the 360 Bridge captured the moonrise to the east. Below, the delicate lines of sand can be seen in the shallow bank. Photo © copyright by Rob Greebon.